Lone Wolf on Switch – Win a physical copy! The good people over at Super Rare Games would like to give a free physical copy of Lone Wolf to one lucky GameCritics reader, and entering is easy as pie! In order to be in the running, just leave a comment at the bottom of this article and we’ll select a winner from all the entries on April 20th. Nothing to it! 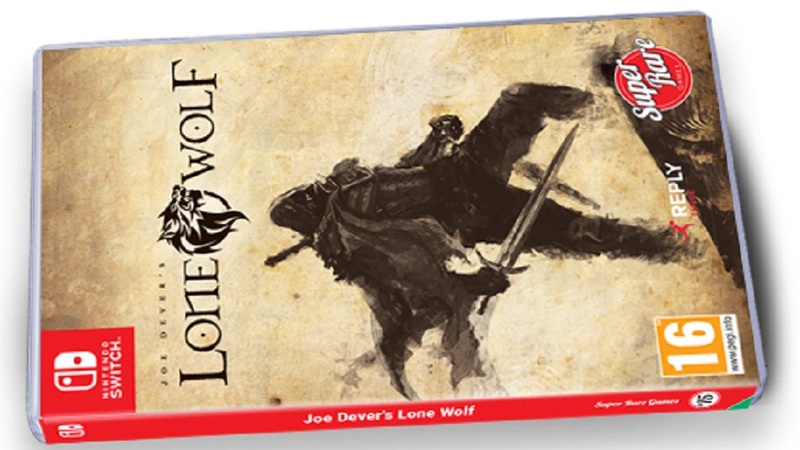 Not familiar with Joe Dever’s Lone Wolf? No problem, we reviewed it back in 2016 – you can read the full review here. It’s a neat blend of visual novel and RPG elements! There are only 4,000 physical copies in existence and they’re all sold out, so this might be one of your only chances to nab one if you haven’t already got your order in. For more info or to check out the other products from Super Rare Games, please check out their website! My comment is so cool that the other comments are looking at it with obvious jealousy, wishing they could be half as awesome as my comment. But they can’t. Ooh. This looks super neat. Hey look I’m leaving a comment here. Wanting this is physical form! Thanks. Genial, a ver si hay suerte. Not me, but just wanted to reply, as I read you often. Your contents and reviews are above average, but don’t klnow why there’s such few comentaries. I would love to try out the game. I have heard amazing things about this game and would love to play it on the go! I always prefer to own the physical copies of games and it would be an honor to win it. I have the digital PS4 version of Lone Wolf and really like it – not sure why I haven’t played it much .. I suspect it’s bc I would far prefer to play it handheld. Like reading a book a bit, I guess. I was ogling that Switch cover and had to remind myself that I haven’t actually got a Switch yet! However, the purchase is already planned in a few months time. Thanks for doing this, guys! I remember seeing footage on this a while back and it looked interesting! Would be nice to give it a go with a physical copy. Thanks for the opportunity! I read the Lone Wolf books a lot when I was a kid and still have them. Good stuff. Really enjoying my Switch at the minute! Thanks for the opportunity guys!